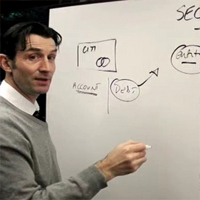 Senior Editor Paddy Hirsch of Marketplace, the public radio business show, makes complicated financial concepts easy to understand in this entertaining, informative series. Marketplace Senior Editor Paddy Hirsch explains Fed Chairman Ben Bernanke's latest plan to get the economy moving  and the risk involved. Some of the recent rapid drops in the financial markets have been fueled by margin calls. How do margin calls work? Marketplace Senior Editor Paddy Hirsch explains. Marketplace Senior Editor Paddy Hirsch explains how banks have gotten frozen in their tracks, awaiting a rescue.